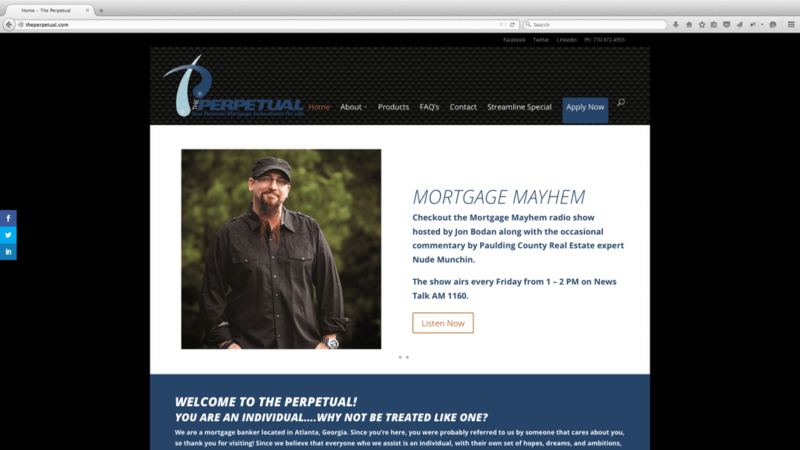 The Perpetual Financial Group is a residential mortgage broker based in Atlanta Georgia. They specialize in high class service and becoming your mortgage consultant for life. The Web Dude © 2011 - 2019 | Website Design and Development by The Web Dude.